In this interview Stalin gave his views on the questions raised by the leadership of the CPI. The Soviet leader adverted to the essential differences between China and India in terms of the development of the economy and the railway network which affected the necessity of differing tactical lines in these countries. In the suggestions given by Stalin to the Indian communists he drew extensively on the experiences of the Russian and Chinese revolutions. The latter observations are of particular value as they give his appraisal of the great Chinese revolution shortly after its spectacular victories.1 Stalin’s evaluations of the course of the Chinese revolution, the specifics of the Chinese path which he held up as an exemplar to the CPI leaders differ enormously from the interpretations placed on that path by those who aspire to that route in contemporary India with regards to the role of the working class and the peasantry. Stalin stressed the necessity of the role of both of these classes in the Indian revolution and particularly in the armed revolution. He noted the inclination to individual terrorism in the Indian communist movement. Regarding the Telengana movement Stalin observed that it was necessary to support what were the first sprouts of civil war. The resolution of the questions of the Indian revolution worked out in 1951, however, proved to be short-lived. With the changes in the Soviet Union after 1953 and the 20th Congress of the CPSU three years later there occurred a corresponding change in the programmatic and tactical perspectives of the CPI: the stage of people’s democratic revolution was dropped in favour of a national democratic revolution which would have an enhanced role for the national bourgeoisie, and revolutionary strategies were replaced by peaceful and parliamentary ones.3 The CPI has remained within the frame of the theses of the 20th Congress of the CPSU for a half century. The CPI (M), in its opposition to the CPI on its right flank, asserted its support of the people’s democratic revolution and defended the revolutionary positions of 1951. It continued, furthermore, at least ostensibly, a defence of the 1951 positions in confrontation with its left flank, namely the CPI (ML), which also upheld the people’s democratic revolution but not necessarily support the positions advocated by Stalin in 1951 with regard to the path of the Indian revolution. ‘our practice is based on deep-rooted parliamentary, legalistic illusions and on possibilities of peaceful development of our party and movement for a long period to come. We are unable to shake off the revisionist habits, thinking, the mode of functioning in all mass fronts and in party building’. P. Sundarayya alluded to the abandonment of the 1951 tactical line of the necessity of combining the workers’ uprisings with the partisan warfare of the peasantry, of the need to establish a powerful working class movement with underground factory and workshop committees which represented the line of the party. The revolutionary forces which seceded from the CPI (M) in the late 1960s largely by-passed the understanding of the 1951 programme and path of revolution. 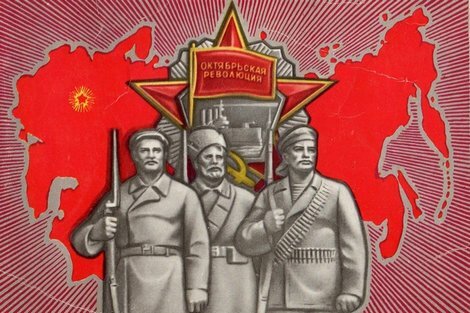 The dominant tendencies in the CPI (ML) traced their origins to the criticism of the P.C. Joshi and B.T. Ranadive lines, to the Andhra Letter, to the Telengana movement and favoured perspectives based directly on their understanding of the Chinese revolution. The newly formed party in the name of the adoption of the Chinese path lent its support to the withdrawal of party work from the trade unions, the strategic boycott of parliament, the surrounding of the towns by the countryside and the policy of individual terrorism as its military line –all of which was considered to be consistent with the experience of the Chinese revolution. Stalin’s observations on the need to incorporate the working class in the armed revolution and the need to overcome individual terrorism with regard to the CPI in the 1940s retained its validity in the new circumstances. The exertions to overcome the sectarian limitations of the early party line continued for many years. 1. We do not found these elsewhere in recently released documents which cover the relations between the Soviet and Chinese communist leaderships. See, for example, A.M. Ledovskii, ‘SSSR i Stalin v cyd”bakh Kitaia. Dokumenty i cvidetel”stva uchastnika sobytii: 1937-1952’, Moscow, 1999 and the translations made of documents dealing with Soviet-Chinese relations by the Cold War International History Project. 2. Notably the Programme of the Communist Party of India, the Tactical Line, the Statement of Policy of the Communist Party of India. See, ‘Documents of the History of the Communist Party of India’ Volume VIII 1951-1956, edited by Mohit Sen, People’s Publishing House, New Delhi, 1977. Parallel to these developments the Institute of Oriental Studies of the Academy of Sciences of the USSR held a wide-ranging discussion on the correlation of class forces in India in March and April. 1951 which led to the correction of the right-opportunist evaluations of contemporary Indian developments in the Soviet Union. See: ‘The Correlation of Class Forces in India’, ‘Revolutionary Democracy’, Vol. VI, No. 2, September 2000. 3. The switch in the understanding from people’s democratic revolution to national democracy may be traced inter alia in the following documents of A. Sobelov: ‘Peoples’ Democracy as a Form of Political Organisation of Society’, Communist Review, London, June 1951, 3-21, ‘Some Forms of Transition from Capitalism to Socialism’, Communist Party Publication, New Delhi, October 1956 (The parliamentary way to socialism is spelt out here). 4. P. Sundarayya, ‘My Resignation’ India Publishers and Distributors, New Delhi, 1991, pp. 21-33. Sundarayya was particularly dismayed by the policy advocated and practiced by Jyoti Basu, E.M.S. Namboodiripad, B.T. Ranadive, and P. Ramamurti of collaborating with the Hindu communal Jana Sangh during the emergency. (pp. 4-20). 5. The Provisional Central Committee of the CPI (ML), it may be said in this connection, has drawn lessons from the 1951 programme and tactical line without feeling constrained by it. Comrade Stalin: Your questions have been received. I will reply to them and then express some of my own understanding. Perhaps it might seem strange that we are having these discussions in the evening. During the day we are busy. We are working. We are free from work at 6 o’clock in the evening. Possibly it might appear unusual that we go into the discussions at considerable length, but regretfully, otherwise we may not be able to fulfill our mission. Our CC charged us to meet you personally in order to render help to your party by giving advice. We are little acquainted with your party and your people. We are looking at this mission with great seriousness. As soon as we took upon ourselves to give our advice, we took upon ourselves the moral responsibility for your party, we cannot give you lightly thought out advice. We wish to acquaint ourselves with the materials, together with you, and then give advice. You may think it to be odd that we have put a few series of questions to you and it almost looks like an interrogation. Our situation is such that we cannot do otherwise. The documents do not give a full picture and so we resort to this method. It is a very unhappy way of doing things but it cannot be helped. Circumstances compel us. Let us proceed to the essence of the matter. You ask: What is your appraisal of the impending Indian revolution? We, Russians, look at this revolution as mainly agrarian. It signifies – the liquidation of feudal property, the division of the land amongst the peasantry and it becoming their personal property. It means the liquidation of feudal private property in the name of the affirmation of the private property of the peasantry. As we see this none of this is socialist. We do not consider that India stands before the socialist revolution. This is that Chinese path which is spoken of everywhere, i.e. the agrarian, anti-feudal revolution without any confiscation or nationalisation of the property of the national bourgeoisie. This is the bourgeois-democratic revolution or the first stage of the people’s democratic revolution. The people’s democratic revolution that began in the eastern countries of Europe, even before it did in China, has two stages. The first stage – agrarian revolution or agrarian reform, as you desire. The countries of people’s democracy in Europe went through this stage in the very first year after the war. China stands now at this first stage. India is approaching this stage. The second stage of the people’s democratic revolution as shown in Eastern Europe is characterised by the agrarian revolution passing over to the expropriation of the national bourgeoisie. This is already the beginning of the socialist revolution. In all of the people’s democratic countries of Europe the plants, factories, banks are nationalised and handed over to the state. China is still far from this second stage. This stage is also far off in India or India is far from this stage. Here you speak of the editorial of the newspaper of the Cominform concerning the Chinese path of development of the revolution. This editorial was a challenge to the articles and speeches of Ranadive which considered that India stood on the road to socialist revolution. We, Russian communists, considered that this is a very dangerous thesis and decided to come forward against this and point out that India is on the Chinese road, i.e. the first stage of the people’s democratic revolution. For you this has the attached importance of building your revolutionary front for a revolt of the entire peasantry and the kulaks against the feudal lords, for an uprising of all of the peasantry so that the feudal lords feel themselves isolated. A revolt of the public is necessary as of all the progressive stratum of the national bourgeoisie against English imperialism, in order to isolate the bloc of the English imperialists with the national bourgeoisie. Amongst you the view is prevalent that all of the imperialists need to be expelled in one blow, all, the English and the Americans. It is impossible to build such a front. The sharp blade of the all-national front is necessarily directed against English imperialism. Let the other imperialists, including the Americans, think that you are not concerned about them. This is necessary so your actions do not unite all of the imperialists against yourselves, and for that you must sow discord among them. Now, if the American imperialists themselves want to get into a fight, the united national front of India will need to plunge into action against them. Ghosh: I am unclear why only against British imperialism when at present the entire world is in struggle against American imperialism which is considered to be the head of the anti-democratic camp? Comrade Stalin: It is very simple; the united national front is against England, for the national independence from England, and not from America. It is your national specificity. India was semi-liberated from whom? From England, and not from America, India is in the concord of nations not with America but with England. The officers and the specialists in your army are not Americans but Englishmen. These are historical facts and it is impossible to abstract from them. I wish to say that the party must not load itself with all of the tasks, the tasks of the struggle with imperialism throughout the world. It is necessary to take up one task: to free oneself from English imperialism. It is the national task of India. We must also consider the feudal classes. Of course, the kulaks are enemies. But it would be unwise to struggle against the kulaks as well as with the feudal lords. It would be unreasonable to take on to oneself two burdens – the struggle against the kulaks and the struggle against feudalism. It is necessary to build the front in such a manner that it is the enemy and not you who are isolated. It is, so to say, a tactic to facilitate the struggle of the Communist Party. Not one person, if he is wise, will take on himself all of the burdens. It is necessary to take on oneself one task – the liquidation of feudalism, and the survivals of the empire of England. In order to isolate the feudal lords, to liquidate the feudal lords, and bring down English imperialism, do not brush against the other imperialist powers for the time being. If you proceed on your way like this – it will lighten matters. Now, if the Americans poke their noses in, it will then be necessary to carry out the struggle against them, but the people would know that not you but they had attacked. Certainly, the time to take on the Americans and the kulaks will come. But it will be later, each will have their turn. Ghosh: I am now clear. Dange: Would this not hinder the carrying out of propaganda and agitational work against the American imperialists and the struggle against them? Comrade Stalin: Of course not. They are enemies of the people and it is necessary to struggle against them. Dange: I put this question so that no one interprets this as opportunism in the task of struggle against American imperialism. Comrade Stalin: The enemy needs to be isolated in a wise manner. You are raising the revolution not against the Americans but against the English imperialists. If the Americans interfere, then it is another matter. Rao: Among the kulaks there is a small part which is engaged in feudal exploitation: they let land on lease and they are usurers. They usually stand on the side of the landlords. Comrade Stalin: This is not significant. In comparison to the major general task of the liquidation of the feudal lords, it is a particular task. In your propaganda you need to speak against the feudal lords but not against the prosperous peasantry. You must not yourselves push the kulak into a union with the feudal lords. It is not necessary to create an ally for the feudal lords. The kulaks have a large influence in the village, the peasantry considers that the kulak makes his way in life thanks to his own ability etc. It is not necessary to give the kulaks the possibility of splitting from the peasants. Do your feudal lords belong to the nobility? Comrade Stalin: The peasants do not love the nobility. Here it is necessary to grasp this in order that the feudal lords are not given the possibility of having an ally among the peasants. Punnaiah: Amongst us there exists confusion on the question of the national bourgeoisie. What is to be properly understood under the national bourgeoisie? Comrade Stalin: Imperialism is the politics of the seizure of another’s country. Does your national bourgeoisie really think of capturing other countries? Meanwhile British imperialism seized India. The national bourgeoisie – the middle, large are your national exploiters. It is necessary to say that you are not against their continuance, but against the foreign enemy, against the English imperialists. Among the national bourgeoisie are to be found many elements which find themselves aligned with you. The top national bourgeoisie – it is already in alliance with imperialism, but it is only a part and besides it is not big. The bourgeoisie is basically interested in supporting you in the struggle for the full independence of India. It is interested in feudalism being liquidated. The bourgeoisie needs a market, a good market, if the peasantry acquire land there will be an internal market, there would be people who would have the capacity of making purchases. It is necessary to elucidate all this in the press. It will be advantageous for you so that the national bourgeoisie does not move over to the side of the English. You have to order matters in such a way that the English imperialists do not acquire new allies in India. In China by no means are steps being undertaken to expropriate the bourgeoisie. Only Japanese property was nationalised in China, even the American enterprises are not nationalised, they are functioning. If your revolution is of the Chinese type you must not for the present undertake those steps which will push your bourgeoisie to the side of the English imperialists. Here is your Chinese path. In China the national bourgeoisie did not go over and now they have come forward against the American imperialists and they help the Chinese people’s government. This signifies that they may consider the American imperialists are isolated in China. Concerning the division of India that is a piece of fraud organised by the English. If you are drafting a programme of action then you must say in there that you need a military and economic union between Pakistan, India and Ceylon. These three states, which are artificially separated from one another, will come closer. This will culminate in these states uniting themselves. This idea of drawing together must be put forward and the people will support you. The elite in Pakistan and Ceylon would be against it but the people have doubts about them. This artificial division is clear particularly in Bengal. The province of Bengal will fall away from Pakistan at the first opportunity. Dange: The understanding of the national bourgeoisie is constantly brought up in the following spirit amongst us: the middle bourgeoisie is called the national bourgeoisie. In India the big bourgeoisie has passed over to the side of the English imperialists. Comrade Stalin: Do you have in India banks which are purely English? Dange: Yes, in India there are English banks as well as joint ones. In our programme there is a demand for the nationalisation of the big bourgeoisie, that is bureaucratic capital. Comrade Stalin: It is not bureaucratic capital but industrial trading capital. Bureaucratic capital in China made a fortune by means of the state. It is capital related to the state and very little connected to industry. Through privileged contracts with the Americans the family of Sun and others received money. The concerns of the big industrialists and traders in China: they have remained intact. I do not advise you to expropriate the large capitalists, even if they are in alliance with American and English banking capital. It would be better to say quietly that whoever goes over to the side of the enemies would lose their property. Indubitably, if your revolution heats up, then a part of such big capitalists will run away. Then declare them to be traitors and expropriate their property, but I will not suggest expropriating the big bourgeoisie just for its alliance with English capital. If there is a demand for the expropriation of the big bourgeoisie in your programme, then it is necessary to cross it out. You will need to draw up a new programme or platform of action. It will pay you to neutralise the big bourgeoisie and to tear off from it nine-tenths of the entire national bourgeoisie. It is not necessary for you to artificially create new enemies for yourself. You already have many of them: the turn of your big bourgeoisie will come and then, certainly, you will have to confront them. The problems of the revolution are decided in stages. The stages need not be mixed up. It is necessary to decide upon the stages and to beat the enemies separately – today one, tomorrow another, and when you grow stronger, you may be able to beat them all, but for the present you are still weak. Your people copy our revolution. But these are different stages. The experience of the other fraternal parties needs to be critically taken into account and this adapted to the specific conditions of India. You will be criticised from the left but you need not worry. Bukharin and Trotsky criticised Lenin from the left, but they became a laughing stock. Ranadive criticised Mao Zedong from the left, but Mao Zedong was correct - he acted in correspondence with the conditions of his own country. Follow your own line and do not pay attention to the ultra-leftist cries. Now on the second question, about the Chinese path. I have already spoken on the Chinese road in the political and social spheres. It would be an agrarian revolution. Concerning the armed struggle it needs to be said that the Chinese did not speak of the armed struggle, they spoke of the armed revolution. They regarded it as partisan war with liberated regions and with an army of liberation. This means that it is necessary to speak of the armed revolution and partisan war and not of armed struggle. The expression ‘armed struggle’ was first mentioned in the Cominform newspapers. The armed struggle signifies more than a partisan war, it means the combination of partisan war of the peasantry and the general strikes and uprisings of the workers. In its scale a partisan war is narrower than an armed struggle. How did the armed revolution in China begin? In 1926-27 the Chinese comrades broke with the Guomindangists. They distinguished themselves in a separate camp having prepared an army of 40-50 thousand persons against the Guomingdang. This army was the basis of the partisan war. They hid themselves in the forests and mountains far from the towns and the railways. Of course, wherever the CC of the Chinese Communist Party was there, together with them, the basic cadres were to be found. The Chinese liberation army could not settle down in the towns and it was easy to encircle it. In order not to be encircled and destroyed they left the towns and railways far behind and founded a series of free partisan regions. They were encircled, then they would break out of it, leave behind old liberated regions and create new ones and endeavoured not to do battle. The further they continued, the more the Chinese communists were alienated from the workers and the towns. Mao Zedong did not wish, of course, to break relations with the workers, but the path of partisan war led him to that, and he lost contact with the towns. It was a grievous necessity. At last they were established in Yan’an where they defended themselves for a long period. They called the peasants to themselves, instructed them how to conduct agrarian revolution, expanded their army and transformed it into a serious force. But all the while they did not evade that minus which characterised partisan warfare. What is a liberated partisan region? It is entirely an island in the state, there is no rear in this region, it may be encircled, blockaded; it has no rear on which it can lean. That is what happened. Yan’an was encircled and the Chinese left that place with large casualties. This would have continued for a long time if the Chinese communists had not decided to cross over to Manchuria. Moving into Manchuria they rapidly improved their own position, they found a rear in the form of a friendly state. It was not now an island, it was something like a peninsula which rested on the USSR at one end. After this Chiang Kai-shek lost the possibility of encircling the Chinese partisans. And only after this, as the Chinese rested, they had the possibility of going over to the offensive from the north to the south. Such is the history. What follows from this? The partisan war of the peasants is a serious matter and a big acquisition for the revolution. In this area the Chinese made new contributions in revolutionary practice, particularly for the backward countries. And, of course, each Communist in a country where the peasants are 80-90% of the population is obliged to carry this method in the arsenal of their struggles. This is indisputable. But also from this experience of the Chinese comrades it follows that partisan warfare with liberated regions has its own big minuses. These minuses are that the partisan regions are islands which are always open to blockade. It is possible to break out of this ring victoriously only by creating a stable rear, link up with and rest on a friendly neighbouring state and turn this state into one’s own stable rear. The Chinese took the sensible step of moving over into Manchuria. If they had not done this I do not know how matters would have ended. In partisan war one has insufficient strength to achieve victory. Partisan war leads without fail to victory if it rests on a friendly neighbouring state. It is highly characteristic that till the Chinese comrades reached Manchuria they did not wish to attack, fearing encirclement, and only after this transition they began to plan to advance and scored successes against the troops of Chiang Kai-shek. We need to take into consideration these minuses of partisan war. It is said in India that partisan war is altogether sufficient to obtain the victory of the revolution. This is incorrect. In China there were more favourable conditions than in India. They had a people’s liberation army ready in China. You have no ready army. China does not have such a dense railway network as India which was more comfortable for the partisans. The possibility of successful partisan war is lesser for you than in China. In industrial relations India is more developed than China. This is good from the point of progress, but bad from the point of view of partisan war. However many detachments and liberated regions are created all these will only be islets. You do not have such a neighbouring friendly state on whose back you can depend as had the Chinese partisans with the USSR. Afghanistan, Iran and Tibet, places the Chinese communists are still unable to reach.... There is no such rear as the USSR. Burma? Pakistan? All of these are land frontiers, which leaves – the sea. Therefore it is necessary to find a way out. Do you need partisan war? Indubitably you do. Will you have liberated regions and a national liberation army? You will have such regions, and possibly you will have such an army. But this is insufficient for victory. You need to combine partisan war with the revolutionary actions of the workers. Without this, partisan war alone might not have success. If the Indian comrades can seriously organise general strikes of the railway workers that will paralyse the life of the country and the government it could prove to be an enormous help for the partisan war. Take the peasant.... if you say to him – this is your partisan war and you have to do it all, then the peasant will ask – why is this burdensome struggle to lie on me alone, what are the workers going to do? He will not agree to take on himself the whole weight of the revolution, he is intelligent enough, he has the consciousness to know that all evil comes from the towns – taxes etc. He would want an ally in the towns. If you say to him that he would carry the weight of the struggle together with the workers, he would understand and accept it. Such was the case with us in Russia. You need to carry out work not only amongst the peasantry, not only to create partisan detachments, but also to carry out serious intensive work amongst the working class, strive for their trust and win over their majority, you need to have armed detachments amongst the workers, prepare strikes of the workers, of the railwaymen and to have workers’ detachments in the towns. When these two streams link up – victory may be considered to be secure. You know that in 1905 in Russia the tsar yielded to the people, gave the Duma and a range of other freedoms. The Tsar was forced to retreat. What evoked such terror in the tsar? The strikes of the railway workers! The capital was cut off from the country, the railway workers only let into Petersburg the workers’ delegations and did not permit entry to goods or anything else. The significance of the railway workers’ strikes was very great in the revolution and this helped the partisan detachments. Then – work amongst the garrisons, amongst the soldiers. In 1917 we had carried out propaganda amongst the soldiers to the extent that all the garrison stood on our side. What brought over the soldiers? The question of land. It was such a weapon which even the Cossacks, who were the praetorian guards of the tsar, could not withstand. To carry out correct politics, one might sow a revolutionary mood and evoke differences within the reactionary circles. The Chinese path was good for China. But it is not sufficient for India where it is necessary to combine the proletarian struggle in the cities with the struggles of the peasants. Some think that the Chinese comrades are against such a combination. This is incorrect. Would Mao Zedong have been discontented if the workers of Shanghai had gone on strike when his army left for Nanking, or if the workers had struck work in the armaments factories? Of course not. But this did not take place as Mao Zedong’s relations with the towns were severed. Of course, Mao Zedong would have been happy if the railwaymen had struck work and Chiang Kai-shek was deprived of the possibility of receiving projectiles. But there was an absence of relations with the workers – it was a grievous necessity, but it was not an ideal. It would be ideal if you strive for that which could not be done by the Chinese – to unite the peasant war with the struggle of the working class. Dange: We almost turned the theory of partisan warfare into one which did not require the participation of the working class. Comrade Stalin: If Mao Zedong knew this he would curse you. (Laughter) Let us go on to the next question. May the government of Nehru be considered a puppet of English imperialism such as the Kuomintang government of Chiang Kai-shek was a puppet of American imperialism and as currently the French government of Pleven is a puppet of the American imperialists? According to my understanding, Chiang Kai-shek could not be considered a puppet when he was based in China. He became a puppet when he crossed over to Formosa. I cannot consider the government of Nehru as a puppet. All of his roots are in the population. This is not like the government of Bao Dai.... Bao Dai is actually a puppet. Hence it follows that in India it is impossible that partisan war can be considered the main form of struggle, maybe it is necessary to say the highest form of struggle? There are different forms of struggle leading to the highest form. For the peasants: boycott of the landowners, agricultural workers’ strikes, withdrawal of labour by the tenant-farmers, individual skirmishes with the landlords, seizure of the lands of the landowners and then partisan war as the highest form of struggle. For the working class: local strikes, branch strikes, political strikes, the general political strike as the doorway to an uprising, and then the armed uprising as the highest form of struggle. It is therefore impossible to say that partisan war is the main form of struggle in the country. It is also untrue to assert that civil war in the country is in full swing. In Telangana land was seized but it proves little. This is still the beginning of the opening of the struggle but it is not the main form of the struggle from which India is still distant. The peasant needs to learn to struggle on the small questions – lowering lease rents, lowering the share of the harvest which is paid to the landlord etc. It is necessary to train the cadres on such small questions and not speak at once of armed struggle. If you begin a broad armed struggle, then serious difficulties will arise at your end as your party is weak. It is necessary that the party becomes strong and orientate the mass struggle in the needed direction and sometimes even restrain the masses. How did we begin in 1917? We had many sympathisers in the army, in the fleet, we had the Moscow and Leningrad Soviets. However we restrained the insurrectionary movement of the workers. They presented the demand of driving out the Provisional Government. But this did not enter into our plans then for the Leningrad garrison was not in our hands. In July the workers of the main Putilov factory where 40-50,000 people worked, began demonstrations in which the sailors and soldiers joined in. They demanded the overthrow of the Provisional Government and they came with these demands to the CC building. We held them back as we knew that all the preparations had not been made for the serious uprising we planned. The objective factor for the uprising existed – when the masses strove forward, but the subjective factor of the uprising did not – the party was still not ready. The question of the uprising was put into place in one month, in September. We decided to organise the uprising, but it was an arch-secret. We did not publish anything about this. When Kamenev and Zinoviev, members of the Politbureau, spoken out in print against the uprising, considering it adventurist, Lenin declared them traitors and said that they had handed over our plans to the enemy. Therefore never shout about the uprising, otherwise the element of the unexpected in the uprising is lost. Here Comrade Rao says – come before the people and ask them about the armed uprising... This is never done, never cry out about your plans, they will arrest all of you. Let us suppose the peasant says: Yes we need an uprising. But this still does not mean that we should follow the people, and drag oneself along the tail of the people. Leadership signifies that one has to carry one’s own people. The people sometimes say that they are ready for an uprising, taking as their point of departure the facts and events of their own region, but not from the point of view of the entire country in conformity with the overall achievability of the uprising. This question must be decided by the CC. If this is clear then we can go over to the next question. Indian Comrades: Yes, it is clear. Comrade Stalin: You ask, may the party organisation carry out the death sentence on a member of the party upon whose devotion doubts have arisen. One cannot. Lenin always taught that the highest form of punishment which the CC may carry out – is expulsion from the party, but when the party comes to power and some party member breaks the laws of the revolution, then the government conducts the prosecution as its responsibility. From some of your documents one can see that comrades frequent incline to the side of individual terror in relation to the enemy. If you ask us, the Russian comrades, about this, then we must say to you that amongst us the party is always trained in the spirit of negating individual terror. If our own people struggle against a landlord and he is killed in a skirmish we would not consider that to be individual terror in so far as the masses participated in the skirmish. If the party itself organises terrorist detachments in order to kill a landlord and this is done without the participation of the masses, then we always come out against this as we are against individual terror. Such active operations of individual terror when the masses are in a condition of passivity murders the spirit of the self–activity of the mass, trains the masses in the spirit of passiveness, and, moreover, the people judge matters in the following way – we cannot engage in activity, it is the heroes who will work on our behalf. Thus, there is a hero and on the other side is the crowd which is not participating in the struggle. From the point of view of the training and organisation of the activity of the masses such a view is very dangerous. In Russia there was such a party – the SRs – which had special detachments to terrorise the main ministers. We always came out against this party. This party lost any credit among the masses. We are against the theory of the hero and the crowd. You ask also, how does one at the present time put the question of the nationalisation of land in India? At the given stage you do not need to advance this demand, never, on the one side, put forward the demand for the division of the landlords’ land and simultaneously say that the land must be given to the state. In the countries of people’s democracy the nationalisation of land was nowhere proclaimed, more so in China. How did they deal with this in the people’s democratic countries? There they forbid the buying and selling of land. This is the method of approach to nationalisation. Only the state may acquire land. The accumulation of land in the hands of individual persons has to cease. It would be disadvantageous now for you to advance the demand for nationalisation. Some of your comrades consider that civil war has started in India. It is early yet to speak about this. The conditions for civil war grow but they still have not grown. What is to be done by you now? It would be good if you had something like a programme, or let us say, a platform of action. Of course you will have discord. There was also discord amongst us, but we decided that: whatever was resolved by the majority would become law. Even those comrades who did not agree with the majority decision, honestly carried out these decisions so that the party acted with a single will. All of you desire discussion. This may be permissible for you in times of peace but a revolutionary situation is growing at your end and you must not permit yourself this luxury. That is why you have in your party so few people, your unending discussions have disoriented the masses. The Bolsheviks in the period 1903-12 carried out open discussions so far as it was possible under the conditions of tsarism with the objective of driving out the Mensheviks as we then had the line of splitting with them. But you do not have such a situation where the party contains enemies. After that, as we hurled out the Mensheviks in 1912 and created our party, free of Mensheviks, the party became homogeneous. There were differences–then we would gather in narrow circles, discuss the problem and, as decided by the majority, we all worked. After the Bolsheviks came to power Trotsky thrust discussion on the party which we did not wish to embark upon. Trotsky provocatively stated that the party did not wish to have a discussion as though the party wanted to fight against the truth. We began the discussion and defeated Trotsky. But this was a discussion against which the entire party stood. If the party is more or less homogeneous and has ideological unity, then such a party is not in need of a discussion. The discussion needs to be carried out in narrow circles, and not in print. There, what is decided by the majority, that is the law. Ghosh: Comrade Stalin is correct. Open discussion is no longer admissible for us. Comrade Stalin: In our party there are 5,600,000 members of the party and 800,000 candidate members. What is the significance of candidate membership? Earlier instead of admitting members into the party we verified those wishing to join it. Some were kept waiting for four years, five years, we verified, we trained them. Many wished to join the party, but they had to be, first, verified and, second it was necessary to train them. Elementary socialist education is necessary and after that, admission. In our practice the institution of candidacy has justified itself. Around the party we have a large layer of sympathisers. But we must not overcrowd the party with new members, we must not overly enlarge the party. The main thing is that the admitted person has a deep quality, and not the quantity of the party members. You also ask me – under which conditions might one undertake partisan war. In the advanced capitalist countries partisan war may not have great significance, here the partisans are quickly seized. An especially great significance attaches to partisan war in medium-developed and backward countries. For example, it is very difficult to initiate partisan war in the United States of America or in Germany. Here essentially there are many large towns, a developed railway network, industrial regions, and the partisans in these conditions are at once caught. It is necessary, in order that the mass of the people themselves consider that they are heroes, and the heroes consider themselves as the executors of their own will, that separate acts, directed against the enemy, leads to passivity of the mass but to heightened activity. In every way it is necessary to support what has originated in Telengana. It is the first sprouts of civil war. But one does not need to rely on partisan war alone. It, of course, renders assistance but itself it is in need of help. It is necessary to have bigger work amongst the people, amongst the workers, in the army, amongst the intelligentsia, the peasantry. If you brought armed detachments into being amongst the workers, they might at the right opportunity in situation of general confusion seize government institutions. In Leningrad we had the workers’ guards, we trained them, and the workers proved to be of great service to us at the time of the uprising, they seized the Winter Palace. Our peasantry had big assistance from the side of the working class. In general, out of all the classes of society the peasants have great trust in the working class. It is necessary to unite these two forms of struggle – the struggle of the workers and peasants, the peasant uprising and the march of the workers. You remember the events in Indonesia. The leadership of the communist party was good in Indonesia, but they were provoked into a premature uprising. They were good, legendary, courageous people, but they got provoked and perished. It would be good for you if you have a platform or a programme of activity. Put as the focal point of this platform or programme the agrarian revolution. You ask me also about the character of the foreign policy of Nehru. It is one of playing off and manoeuvering and it is intended to show that he is against the American policies. In its deeds the Nehru government plays off England and America. Comrades Rao, Dange, Ghosh and Punnaiah: thanked comrade Stalin for the discussion and declared that on the basis of the instructions of comrade Stalin they will reconsider all of their activity and would act in correspondence with these instructions. Comrade Stalin: I have given you no instructions, this is advice, it is not obligatory for you, you may or may not adopt it. The conversation continued for more than three hours. Taken down by V. Grigor’yan 10.II.51. RGASPI F. Op. 11 D. 310, LL. 71-86. Published with the kind permission of the authorities of the Russian State Archive of Social and Political History.